Citing the controversy swirling around Minister of State Joseph Harmon, the human rights group, GHRA today called on President David Granger to lead from the front arguing that there was a crisis of credibility and unfulfilled expectations. Government’s actions to date suggest a reneging on its promise to address the excesses of the previous administration while also reflecting a process of governing not remote from that which it deplored and vowed to replace, the Guyana Human Rights Association (GHRA) warned in a statement. 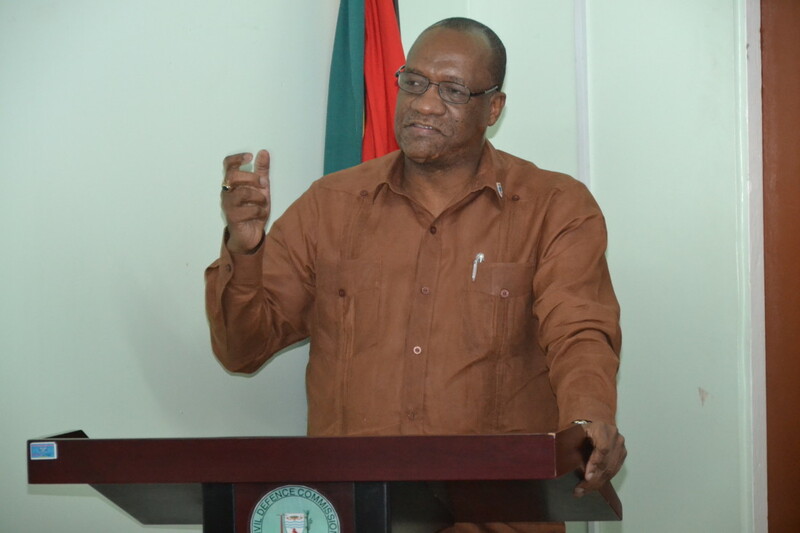 “The Harmon affair, other instances of Ministerial impropriety and the marginalising of new political formations by the traditional parties in local government elections are all symptomatic of a deeper crisis facing Guyana today, a crisis of credibility and unfulfilled expectations,” the human rights body said while calling on President Granger to lead from the front. “Perception of failure of the coalition Government to honour its central campaign promise, namely, addressing the excesses of the previous administration, is fuelling the disappointment of a largely urban population. Indeed, the Government’s actions to date suggest not merely a reneging on this promise but also reflect a process of governing not remote from that which it deplored and vowed to replace,” the GHRA declared. “That reviled process, characterised by lack of transparency, lack of accountability and personal aggrandizement, to name a few alleged ills, relegated people’s everyday interests and concerns to an insultingly low level of priority,” it charged. The Granger administration is under pressure to provide answers on a number of issues including several controversial decisions made by Minister of State Joseph Harmon. The minister is yet to provide full answers to the public. Harmon has faced accusations of interfering with a Guyana Revenue Authority investigation of tax evasion by Chinese logging company Baishanlin. Subsequent to this, he travelled to China where among other business, he met with executives of the company. His appointment of businessman Brian Tiwarie as a business advisor also sparked controversy. The appointment was made in January apparently without the knowledge of Granger and other members of the administration and a day after the information was published in the press last month, Granger rescinded the appointment saying that the businessman’s services were not needed. Both Harmon and Tiwarie were in China at the time. Harmon’s controversial actions have drawn criticism and the Transparency Institute of Guyana Inc has gone as far as to label his actions as corrupt. APNU’s coalition partner the AFC has also spoken out saying that the concentration of various powers in Harmon was the key reason for the difficulties that have flared up around the government. The party has called for his powers to be pared. 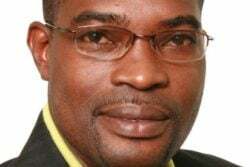 Among other issues, the APNU+AFC government has also faced criticism for its seeming shut-out of other parties and groups in the municipal committees following local government elections last month. The GHRA said in the current corrosive atmosphere every reported misdeed, rumoured or factual, is greeted with disappointment and a sense of betrayal. “On the other side of the political divide, there is mounting evidence of unbridled glee at this process of self-inflicted political damage. And all this is taking place within less than a year in the life of the current administration,” the statement noted. 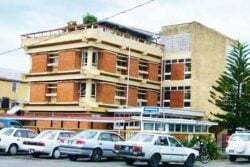 The GHRA expressed alarm at the situation and said it is concerned about its potential impact on the process of good governance that all Guyanese demand and expect to receive. “Explanations after the event, whether contrite or self-serving, are no longer plausible,” it declared. According to the human rights body, Granger, the novice politician, may not be aware that this crisis exists and may therefore not see the need to deal with it. “President Granger the historian, however, should readily appreciate the warning signs. History is replete with examples of how and how not to deal with such situations as Guyana is facing today. In recognising that a crisis exists, the President now needs to demonstrate to the nation his appreciation of the fact that the Harmon affair is a symptom of all that is threatening to the realisation of his best intentions. In so doing, he must now lead from in front,” it asserted. The human rights body said the most fundamental issue to be addressed is how to involve people as citizens, not simply as voters and critics, however well meaning. “The specific hallmarks of effective citizenship include political accountability through constitutional reform; recognition that national unity is not attained by invitation but by actions based on the principle of inclusivity; and enforcement of guidelines regarding political impropriety,” it noted. The GHRA said that a programme of this nature would also provide substance to the upcoming 50th Anniversary celebrations of transition from subjects to citizens. It said that this process is far from complete and is more readily reversible than generally appreciated. “The 2015 elections was a slender victory for the APNU+AFC coalition. The opportunity exists to begin a process of transforming the political landscape from “to the victor belong the spoils” to one which seeks to ensure that the spoils of victory redound to the benefit of all of Guyana’s citizens,” the GHRA declared.